It all happened too quickly. I was not prepared to give birth on 22 May but Allah thought otherwise. I had my third Science Playdate on 18 May and I brought my darling Umar to the zoo the next day where we spent the whole afternoon. On 21 May, my iphone crashed and could not be revived and Umar was down with a bug that made him vomit anything he ate. 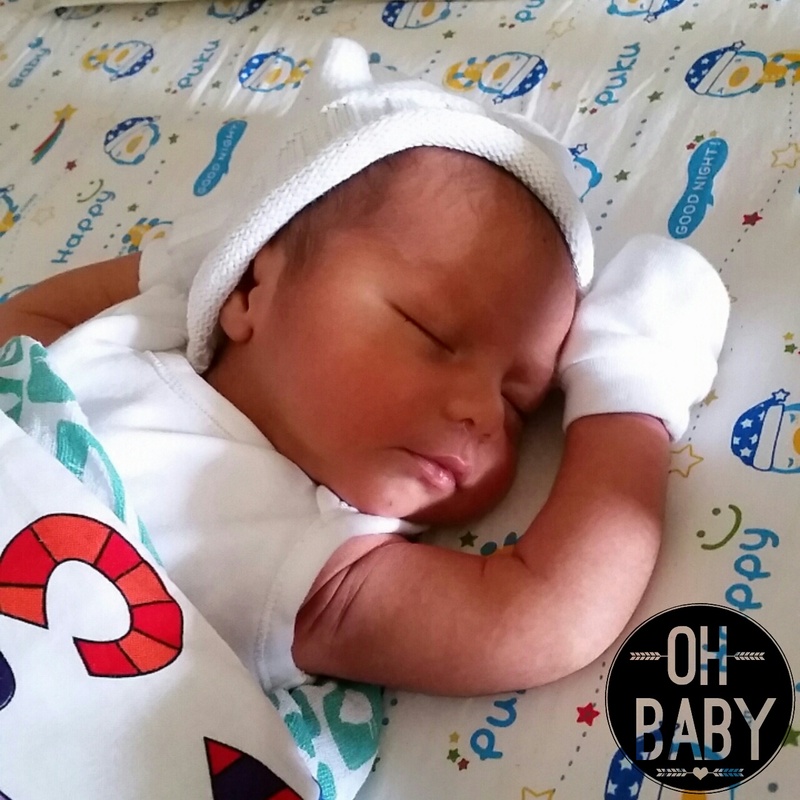 His paediatrician recommended hospitalizing him if his vomiting did not stop. I remembered hugging him and saying “Umar, only one of us can be hospitalised ok? So you need to recover soon…” And 22 May was supposed to be my 38th week check-up with Dr Paul Tseng… haha! On the night of 21 May, hubby asked me if I wanted anything to eat. I do not have cravings – the kind where I would trouble anybody to get something at the stroke of midnight. But that night, I wanted roti john and two prata kosongs. At 2am, my tummy was acting weird. I had diarrhoea and I was vomiting. I was worried that I might have contracted Umar’s bug. Either that or I was just having indigestion. Then, at 4.30 am I messaged my doula, Eileen, asking her how to really know if I was experiencing real contractions. She answered me and also told me that if I am in labour, she will only be available after 7:30 am. At 5 am, I somehow realised it is the real deal because I started timing the contractions and the intensity increased over time. My breathing exercises were not helping that much either. I did the last check – the bowel test. I sat on it waiting for some poo but I saw blood instead. As I swiped I realised my mucus plug came off. Recalling my experience with my firstborn I knew THIS WAS IT! My husband probably felt it was de ja vu. I woke him up in a jolt and asked him to call the doula down immediately. I requested for a sock of rice as a warm compression and also to get my parents to whisk Umar away. My parents came at 5:15am and the contractions just intensified. For fear that I might accidentally give birth under the warm shower; I decided to sit down on my gym ball in the living room while waiting for packing to be done. (Yes, our hospital bag was not ready yet. :D) Umar woke up but refused to be with my parents. He just stood in front of me watching me breathing down and grunting. I was already breathing down as the contractions reached its peak. At 5:40am, the doula arrived. Apparently, both my husband and the doula could already see the baby’s head. With my mom supporting my back, the doula guiding my husband and my firstborn standing fixated next to my husband, I gave birth to my second son on the gym ball. It was really an experience of a lifetime. I had actually embraced the possibility of homebirth after my first experience but never really delved into it. This homebirth, although accidental, gave me time to listen to my body better and I was able to take my own sweet time. I could think without interruptions. The home certainly gives you the tranquillity and serenity that you seek. For me, it gave me the clarity and comfort I needed as I focused on my breathing entirely. Nothing beats home definitely. For my husband, it was a surreal experience but he told me not to attempt the stunt again! But of course, countless Alhamdulillah for nothing is possible without Allah’s grace and permission. I am also glad to have met individuals like Kak Elly (my personal pre-natal yoga instructor) and Ian (my backup doula). Say “Hello!” to our new addition, Ali Redha.